Spurs will host Chelsea on Wednesday in the first of two legs in the semi-finals of the Carabao Cup. Tottenham Hotspur will host the first leg of their Carabao Cup semi-final against their London rivals, Chelsea. Spurs' fixtures continue to mount up as the Blues visit Wembley Stadium just days after Tottenham travelled to Merseyside in the FA Cup. Ahead of the clash, Mauricio Pochettino held his usual pre-match press conference at Hotspur Way. Spurs have a recent habit of not being able to progress further than the semi-finals having crashed out in the FA Cup last four in the past two seasons. "No, it was a very competitive game. Chelsea are a great team but of course when you win you are happy, but it's a game we enjoyed the most," he said. The Lilywhites claimed all three points in November in a 3-1 victory against the Blues at Wembley. "Tomorrow is going to be a completely different game and competition. "You have to respect Chelsea because they have great players and a great squad and for me it's a team that is building to win some trophies of course," the 46-year-old added. The north Londoners became the first Premier League side ever to not bring in any summer signings during last year's summer transfer window. "We know very well that summer is always difficult but winter is worse. Sure for us it's going to be difficult for us to add players." Pochettino has had a constant midfield injury crisis so far this season with Mousa Dembele and Victor Wanyama missing the majority of the games. "I don't expect to add players but of course if in the end we have the opportunity to add the right players we are going to try. "We are always open in trying to improve the squad but it's not about players in if these players leave the squad. We will not operate like this," he said. Dembele heading for the door? Mousa Dembele's future at the N17 club has been questioned for the past year. "I don't know. Maybe you know better than me or have better news than me," he replied. Dembele has missed the majority of this season with an ongoing ankle ligament injury. "It depends on what the different parts want to do. 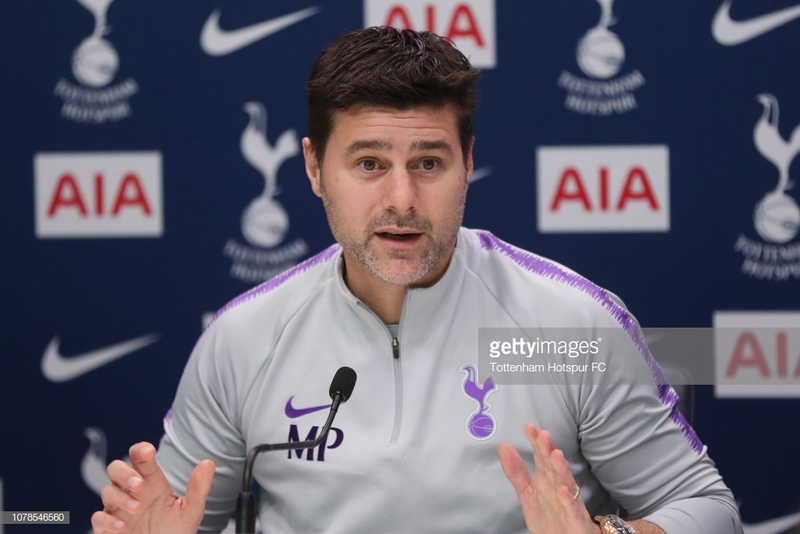 "If something arrives we are going to listen and then it's what we want to do or the player wants to do, it's about to negotiate, talk, like always it happens in that business," Poch finalised.